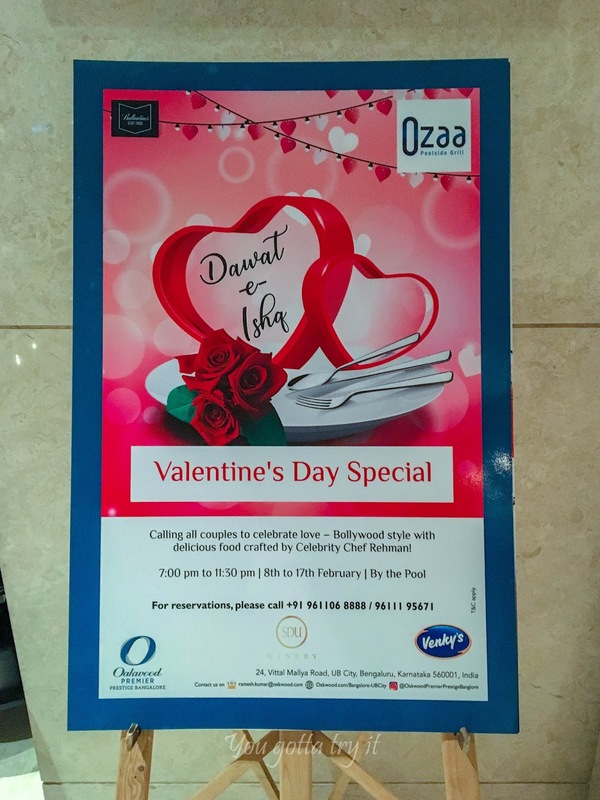 You gotta try it: Valentine's Day Special - Dawat-E-Ishq at Ozaa at Oakwood Premier Prestige, UB City, Bengaluru! 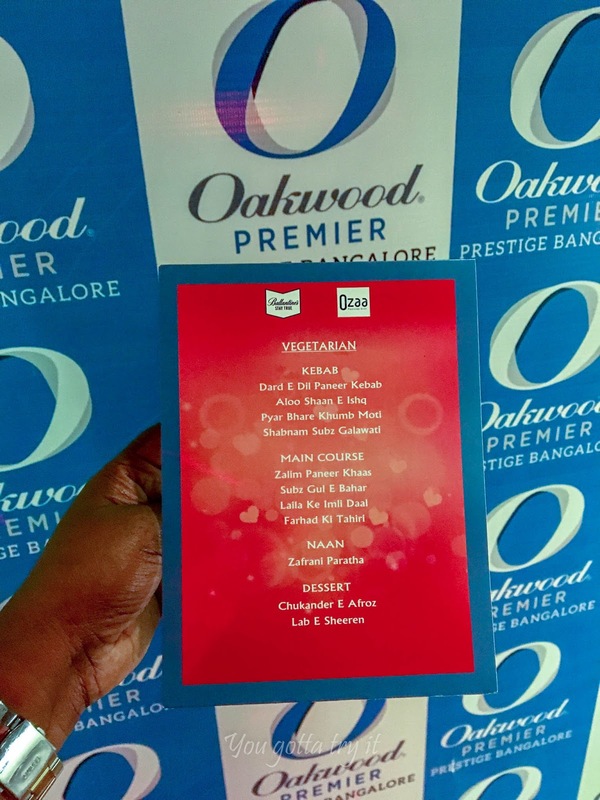 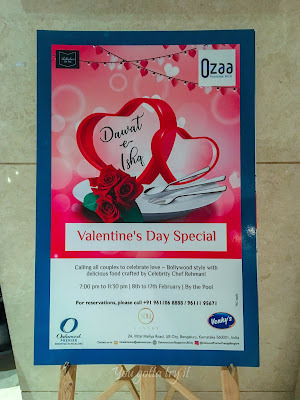 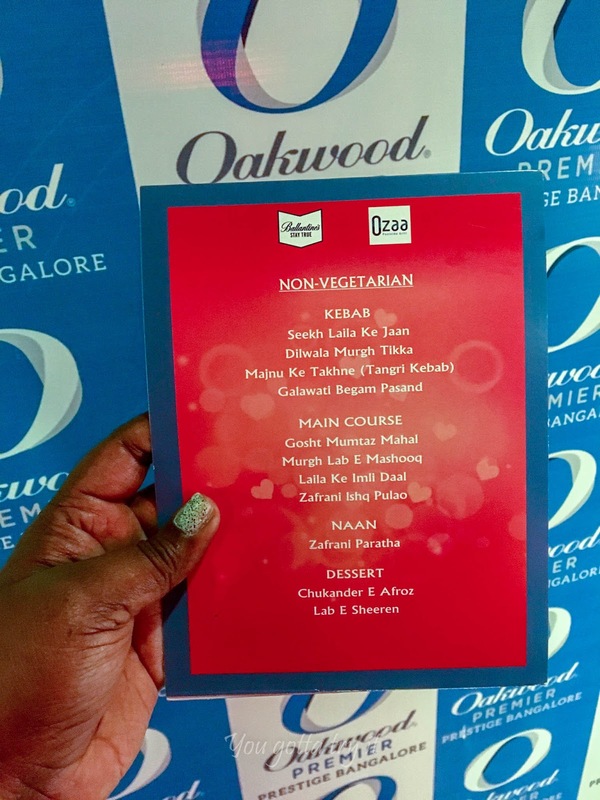 Valentine's Day Special - Dawat-E-Ishq at Ozaa at Oakwood Premier Prestige, UB City, Bengaluru! 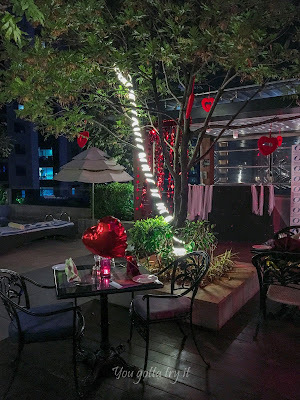 There are two types of people in this world – People who like to celebrate Valentine’s Day and people who think what’s so special about V-Day? If you belong to the former category and looking for a lovey-dovey romantic dinner, then head to Ozaa at Oakwood Premier Prestige, UB City. They are having a 10 day long (from 8th – 17 Feb) Bollywood style Valentine’s Special dinner – Dawat – e- Ishq; a ‘celebration of love and food’ by visiting Celebrity Chef Rehman from Lucknow. 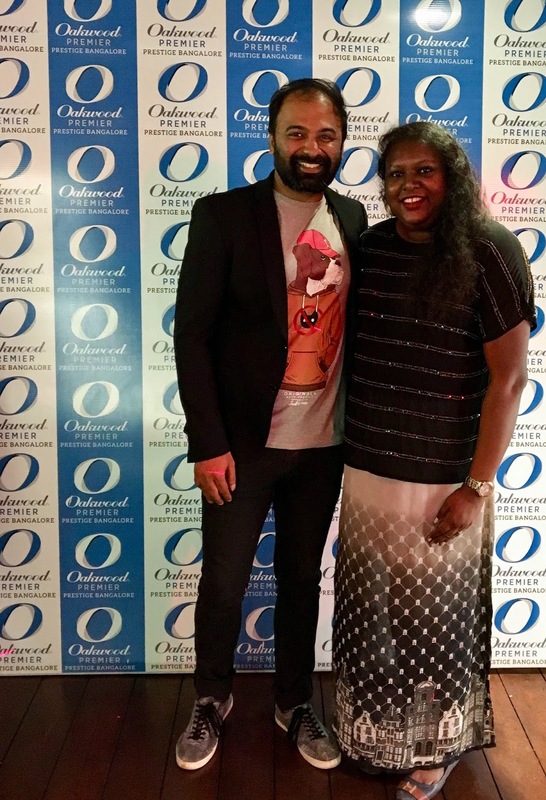 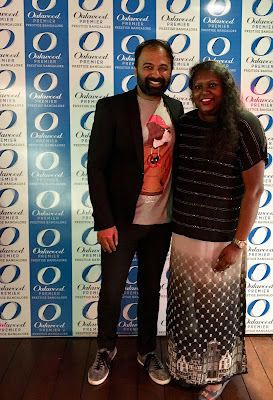 I was so lucky to meet Chef for the third time and he is still the same humble Chef who can cook up a storm. 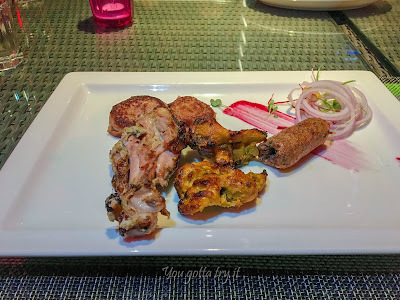 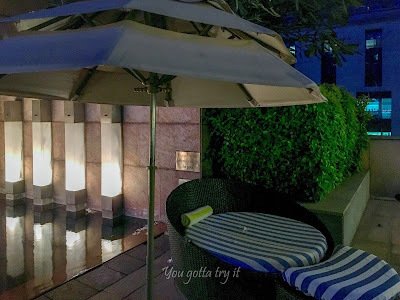 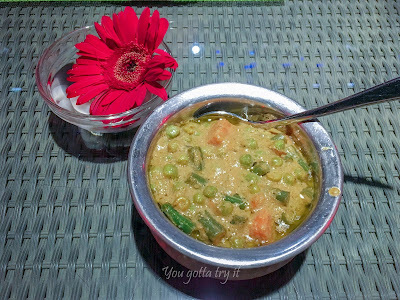 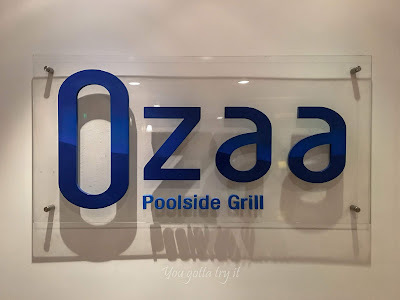 Dawat-e-Ishq means ‘Feast of love’ and at Ozaa, the rooftop poolside Grill restaurant, one can enjoy a delectable feast from Mughlai - Awadhi cuisines starting from Kebabs to finger-licking main course to selected desserts from the region along with Bollywood favorite romantic tracks playing in the background. 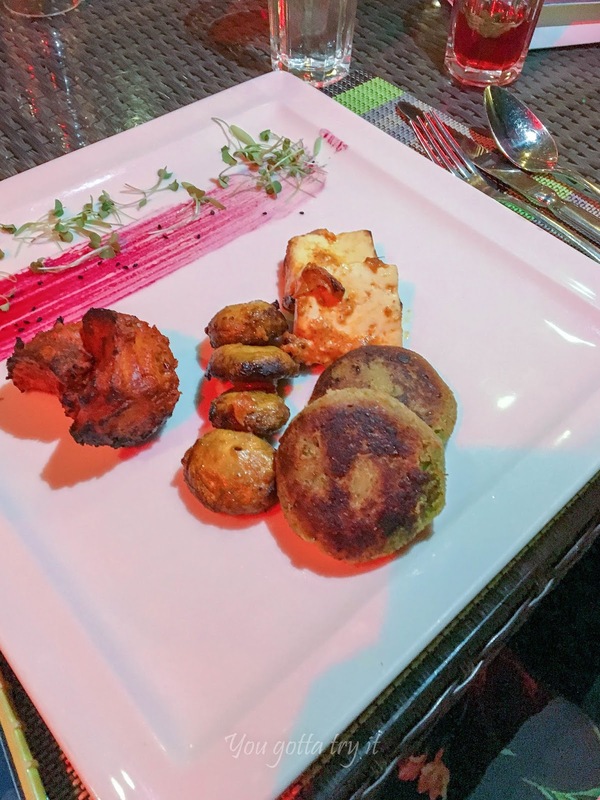 Some brilliant appetizers were served on a platter. 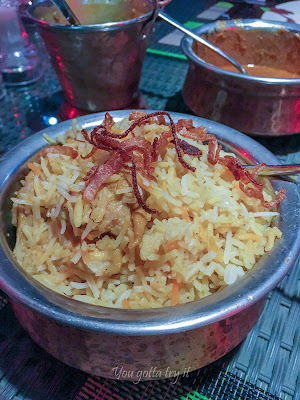 I relished my favorite Galawati Begam Pasand, and Seekh Laila Ke Jaan, along with Majnu Ke Takhne (Tangri Kebab) and Dilwala Murgh Tikka. 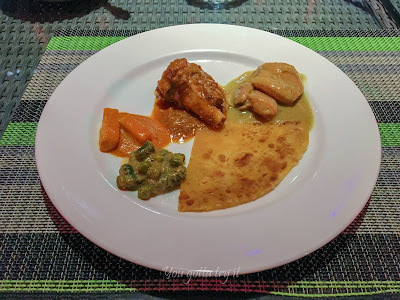 The main course had a mix of Veg and non-vegetarian dishes like Gosht Mumtaz Mahal, Laila ke Imli Daal, Murgh Lab E Mashooq, Zalim Paneer Khaas, Subz Gul E Bahar, Zafrani Ishq Pulav (Chicken) along with the softest Naan I have ever had, Zafrani Paratha. 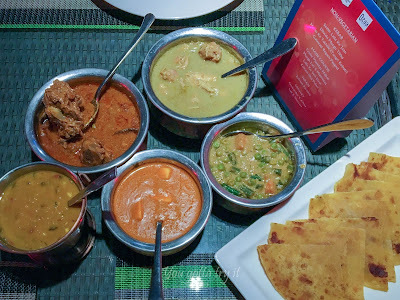 The Gosht Mumtaz Mahal was the best among all the dishes – a piece of Paratha dipped in the gravy will give an ultimate foodie happiness when meat just falls apart from the bone. 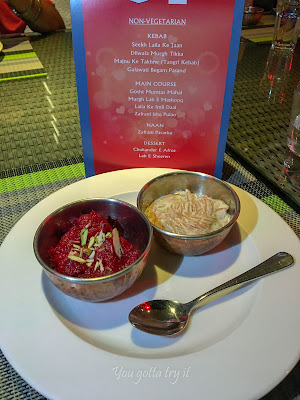 For desserts, we tried Chef’s special Chukander E Afroz (Beetroot Halwa) and Lab-E-Shireen (Vermicelli pudding). The desserts tasted as beautiful as it sounds in Urdu Shabd. The right amount of sweetness balanced the flavors. 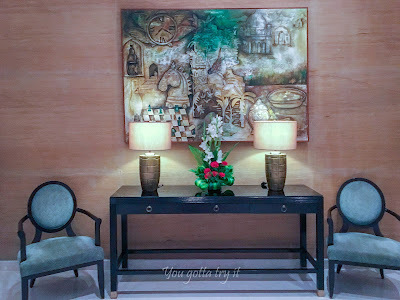 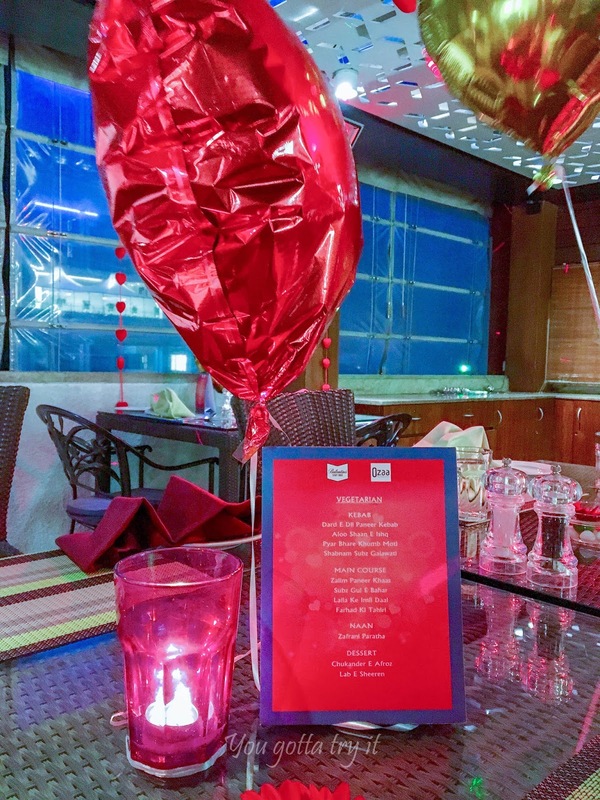 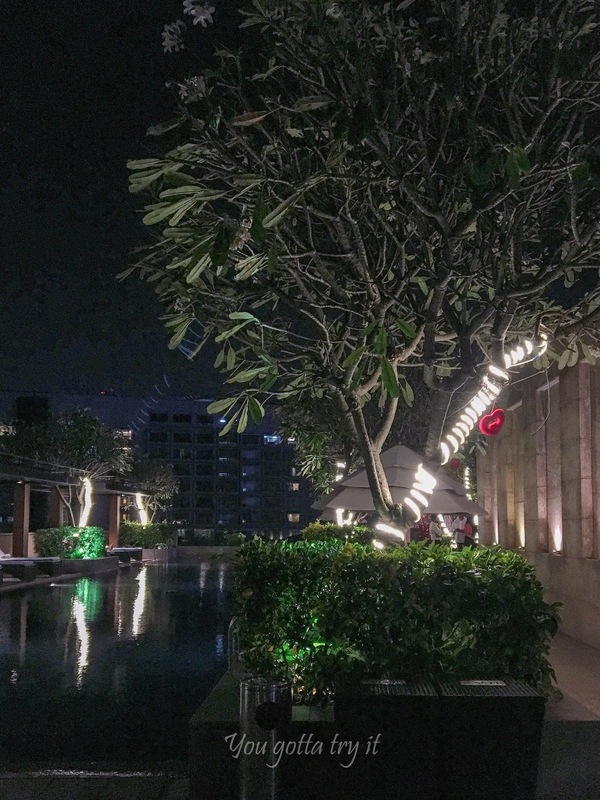 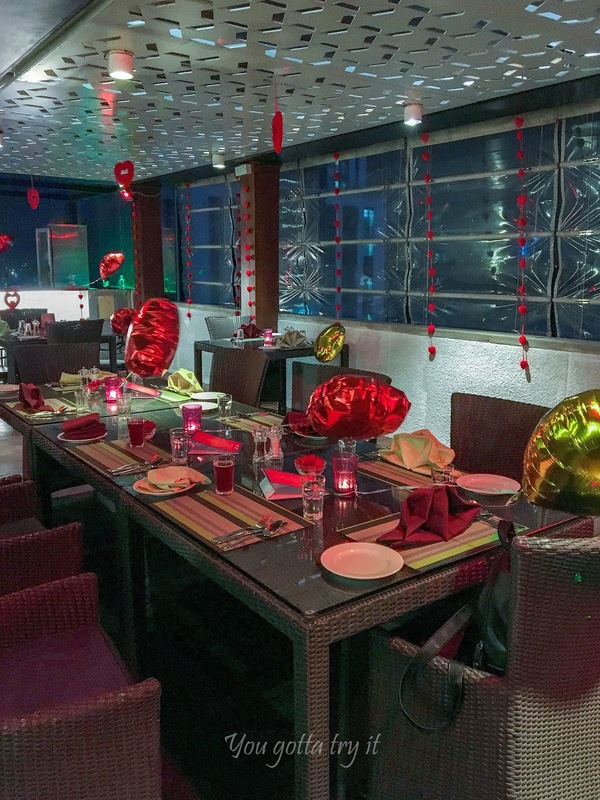 Love is in the air and you can feel that in Ozaa’s lovely decoration, poolside candlelight dinner, and Bollywood DJ music and this is what something you have to experience this Valentine’s week. 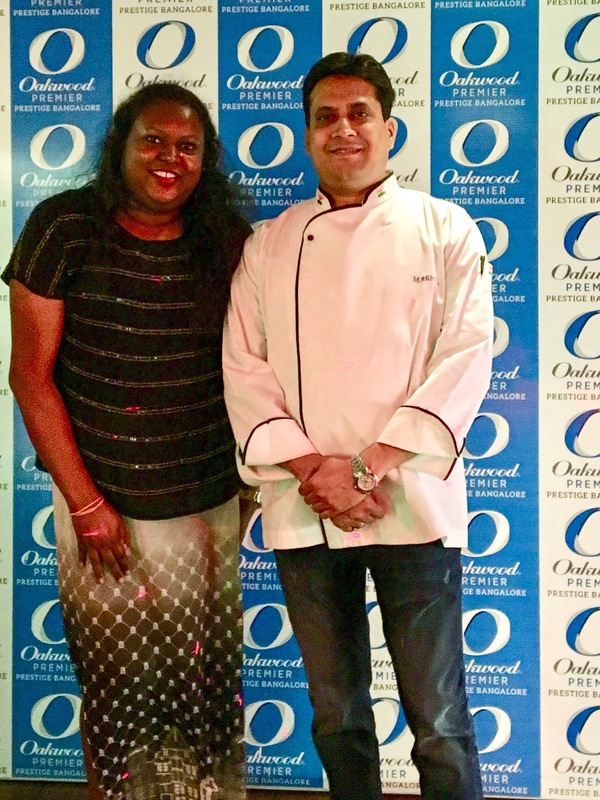 A special thanks to Chef Rehman and Oakwood Premier GM - Mr. Wajeed Bagwan for this delightful experience.